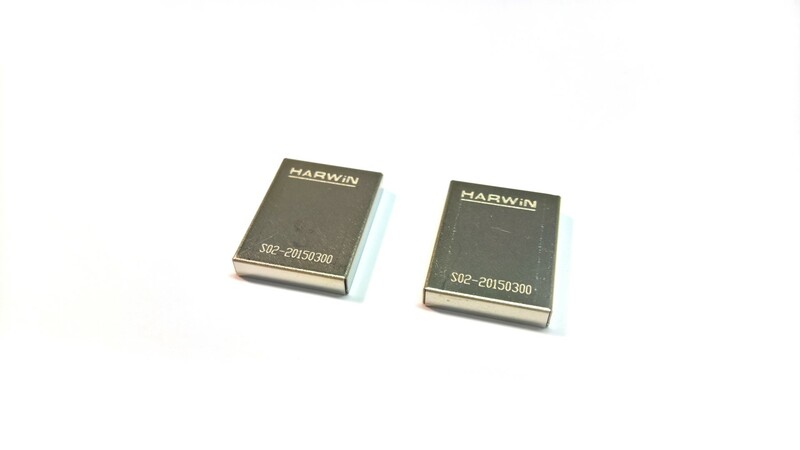 This time I tried to make a golden electronic modules moulded into epoxy resin and golden Harwin S02-20150300 RF electronic shields with electro-less process. Before we can coat modules moulded into epoxy resin, we have to cover them with copper. I have done that with copper paint. After we have done that, we can continue with nickel and gold plating. I have used nickel activator and nickel solution for nickel plating, after that solution for gold plating. On the epoxy resin is quite a challenging refer to substances that survive the process of nickel and gold plating. I succeeded to coat module into nickel and gold but they are very sensitive to any mechanical damage. 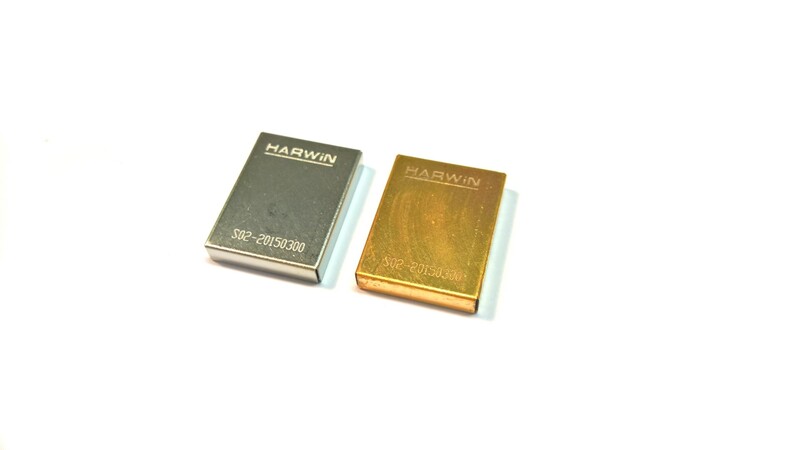 However, the gold plated RF shields are very resistant. First, I have sank RF shield into Nickel activator for 5 minutes. After that time RF shield will dramatically change to a dark colour. After previous step, follow nickel plating. 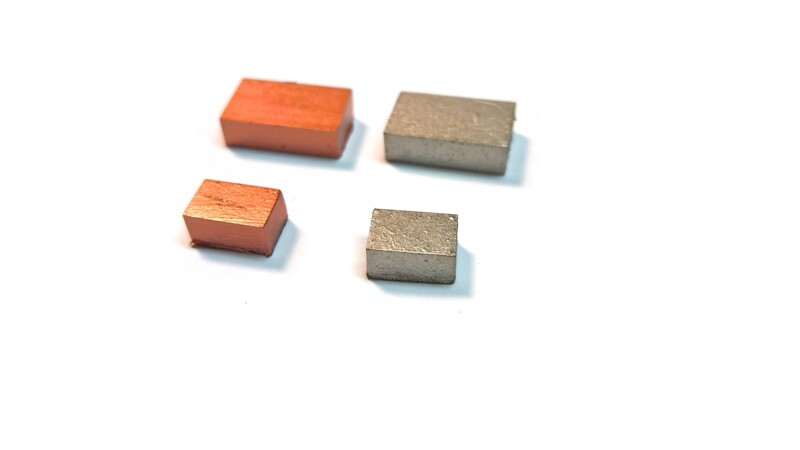 We have to heat Nickel plating solution to 80-90°C and maintain it. You will notice small bubbles on shield. In this step is very hard to say when we are finished with nickel plating, because the colour is almost the same. I have left in this solution for 15 minutes. After each step, I wash RF shields with distillate water. After I have done with nickel plating I have continue with gold plating solution. The procedure is the same as for nickel plating. 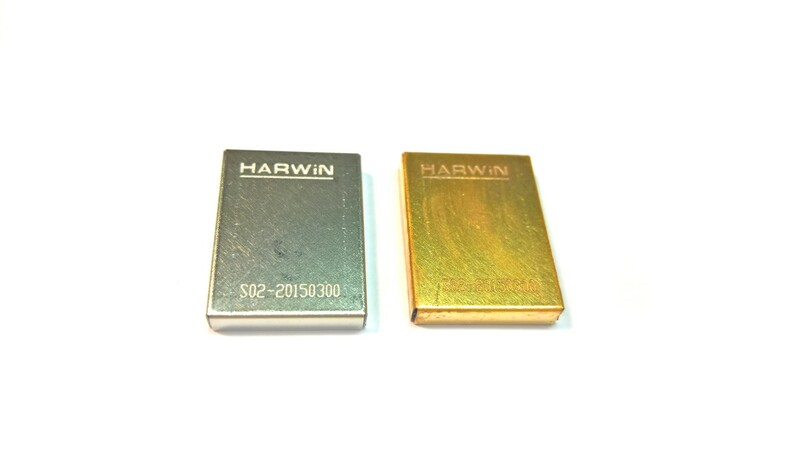 We have to heat Gold plating solution to 80-90°C. 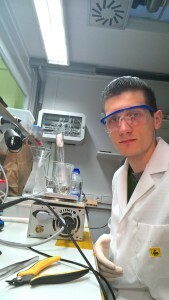 In this step, I have also left the RF shields in solution for 15 minutes. More images of intermediate steps of the whole process follows.